Times being what they are, it can feel like a tragedy at times in the auto industry. So obviously it's time for a little humor. 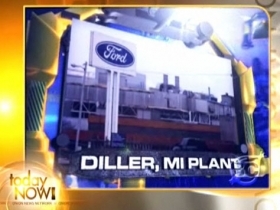 The fake news site The Onion took aim at the auto industry in this "Survivor" parody, where autoworker teams from rival Ford plants face challenges and lose departments in the "Pink Slip Circle" for downsizing.